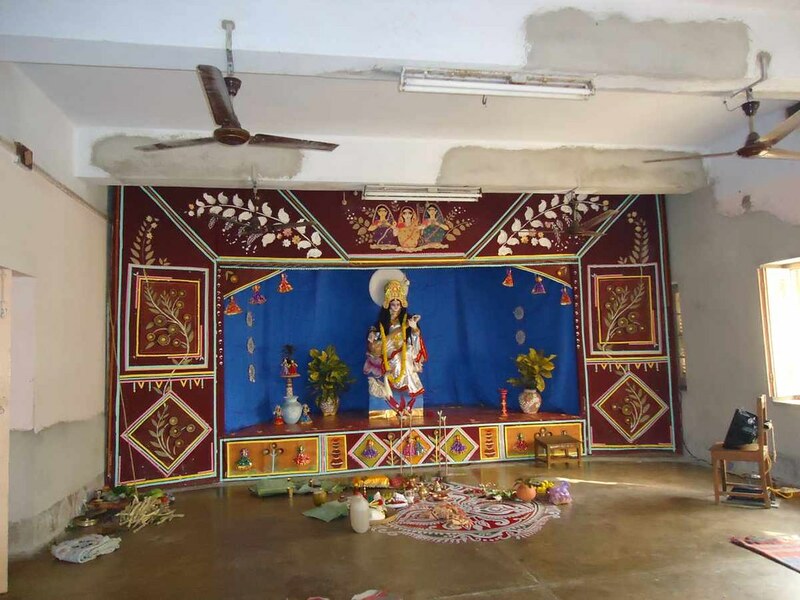 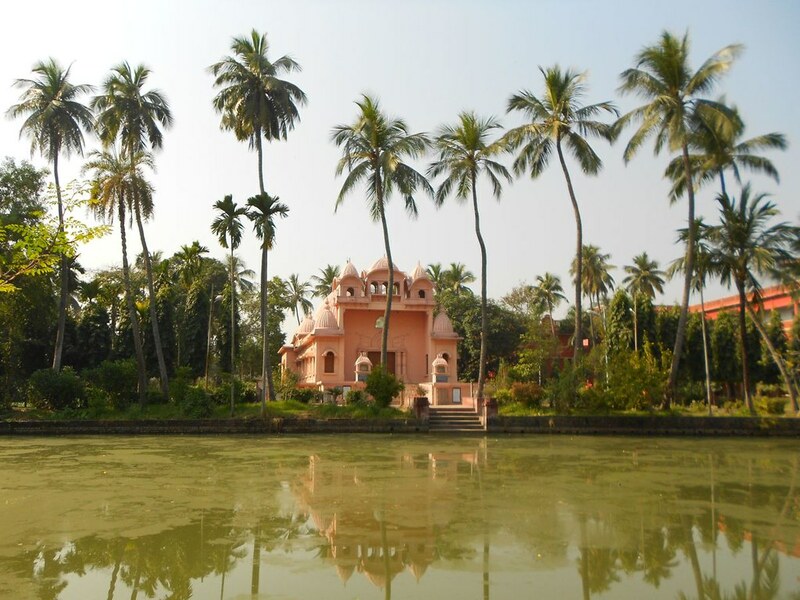 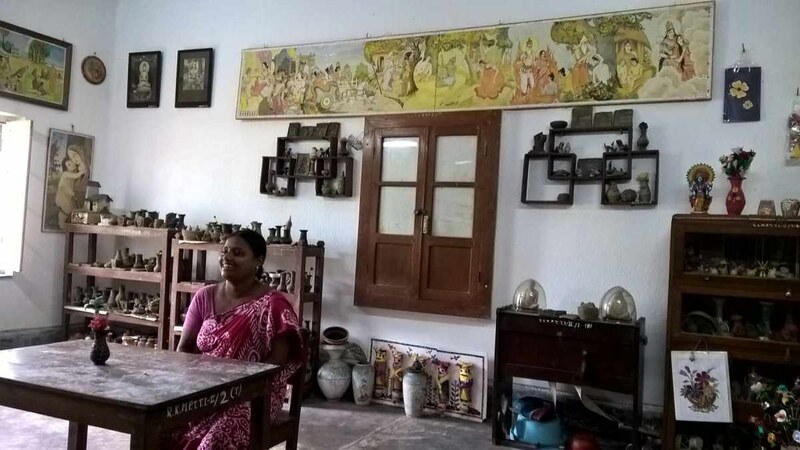 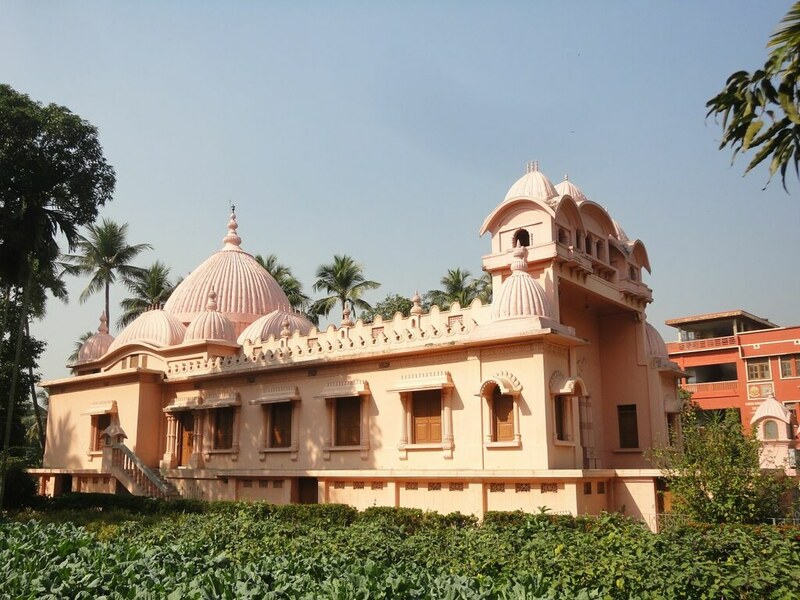 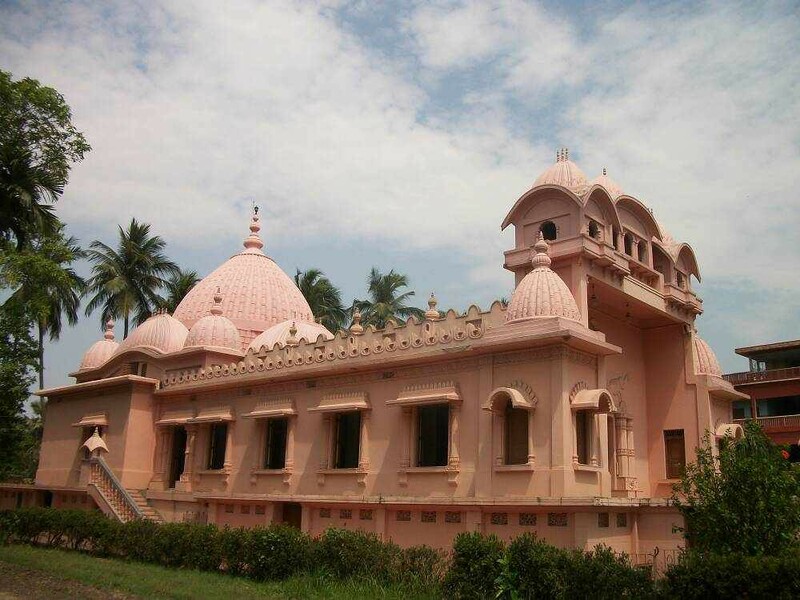 Started in 1921, this ashrama has reconstructed Sarisha village, mainly by providing education to villagers. 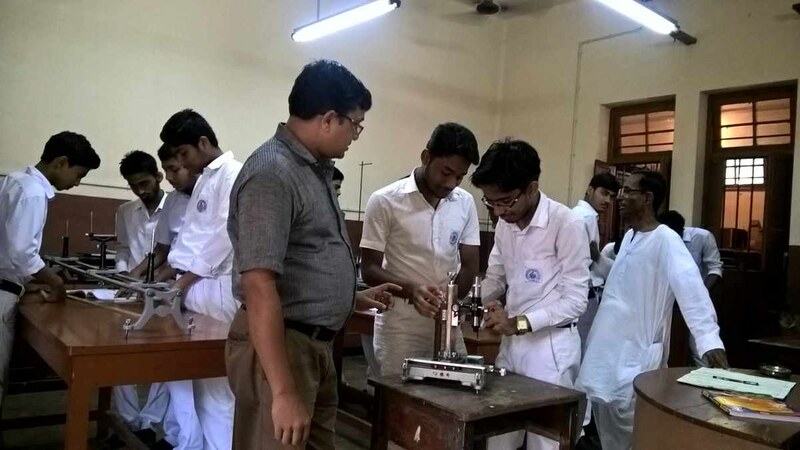 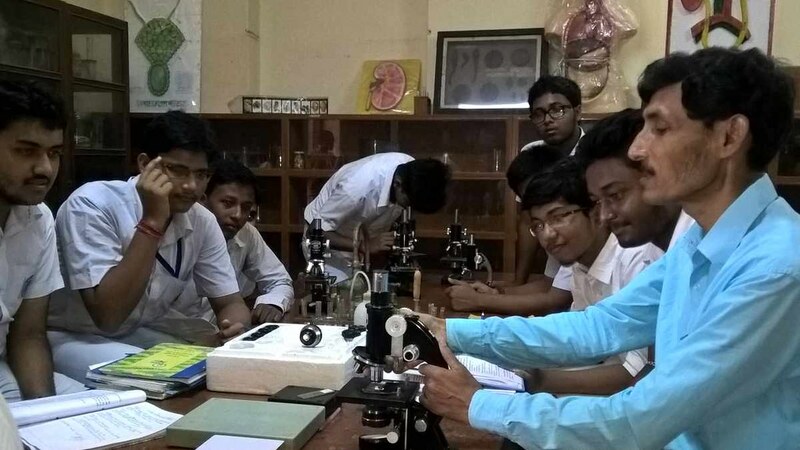 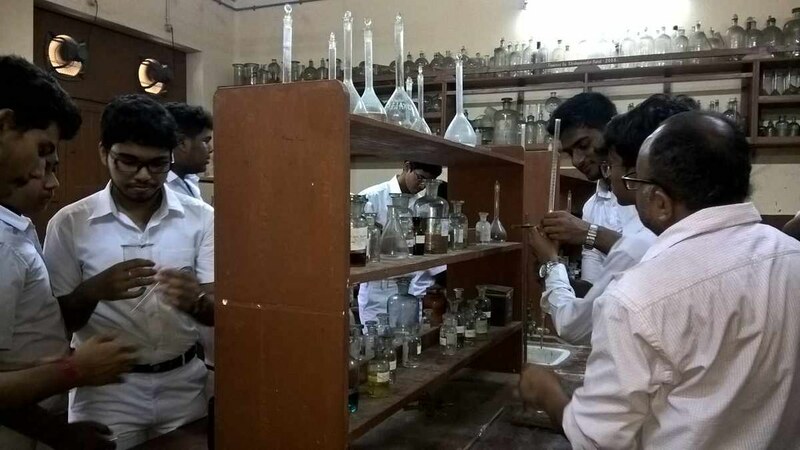 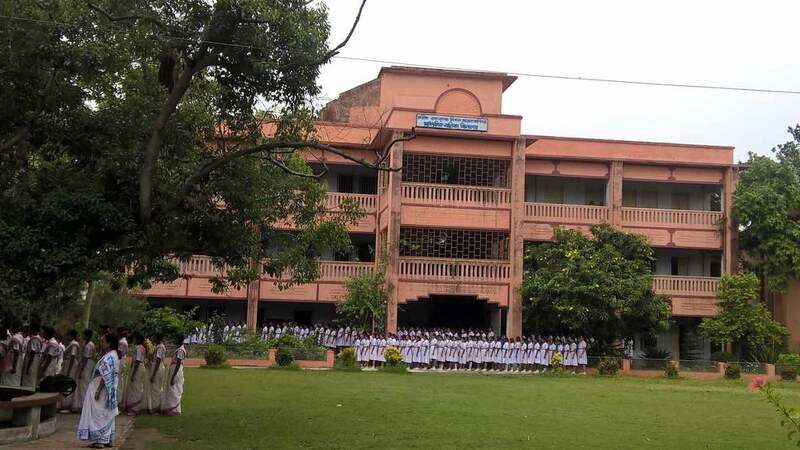 A boys’ higher secondary school with 1120 students, and a hostel with 161 boys. 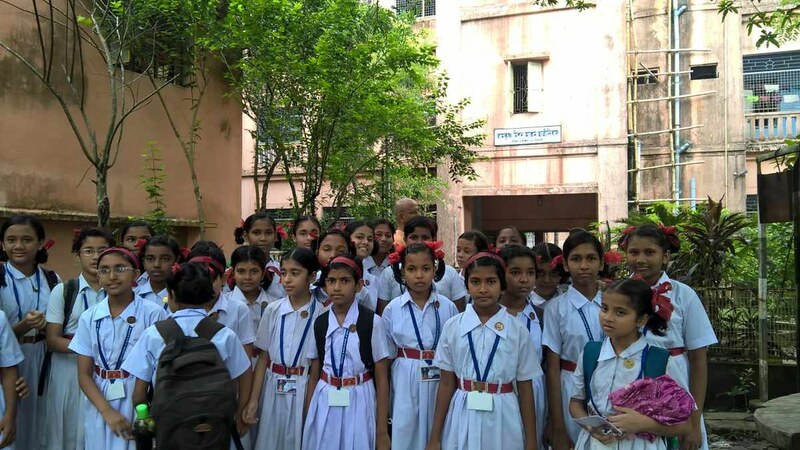 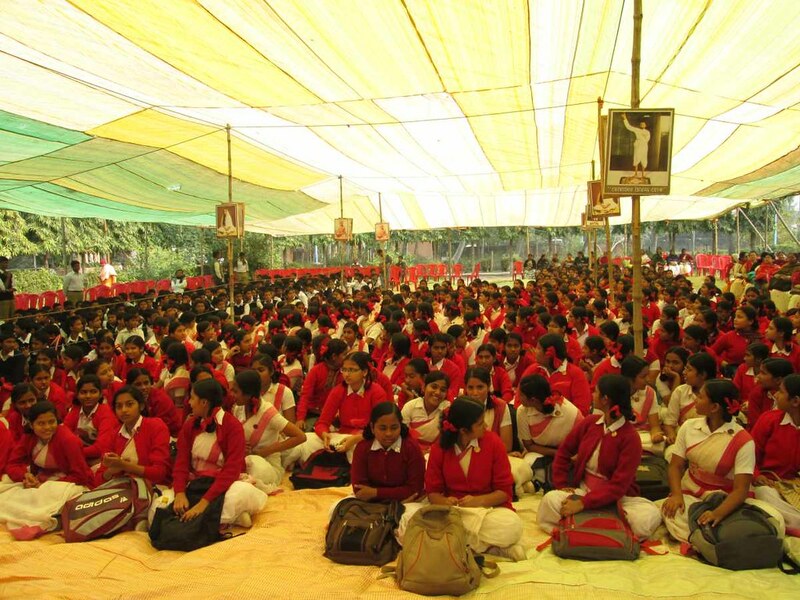 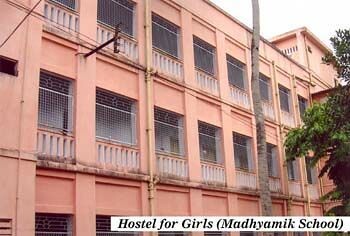 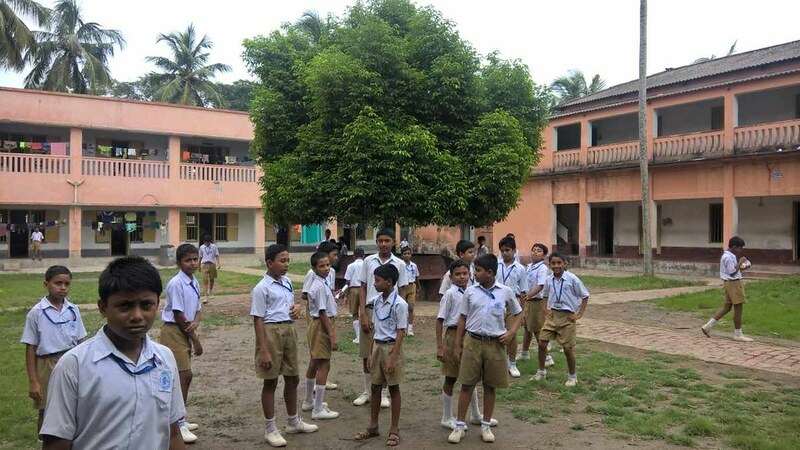 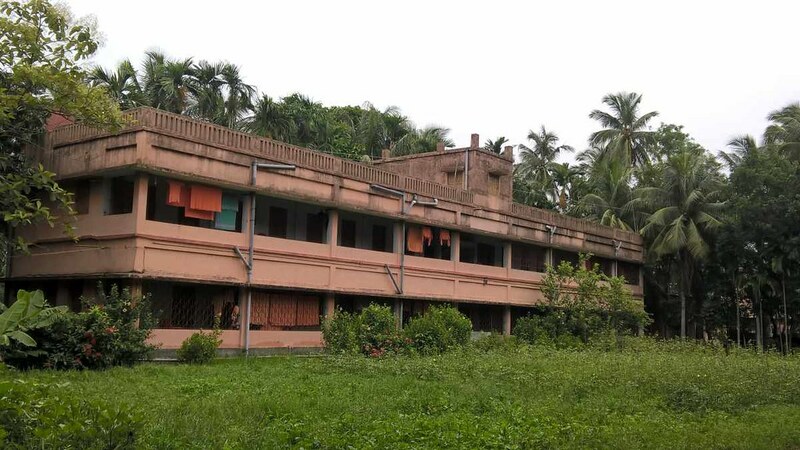 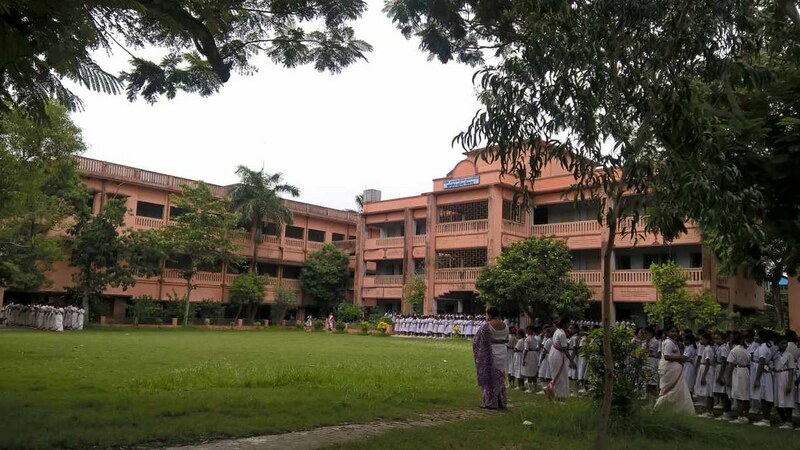 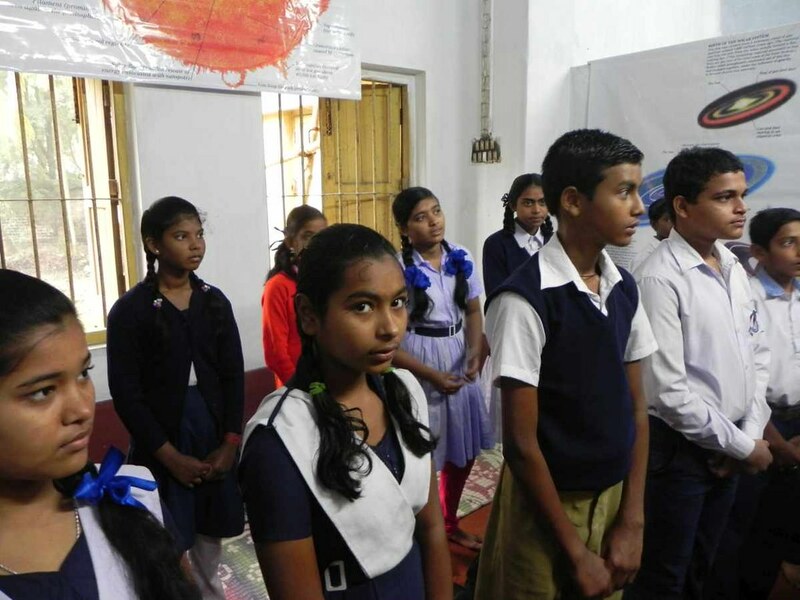 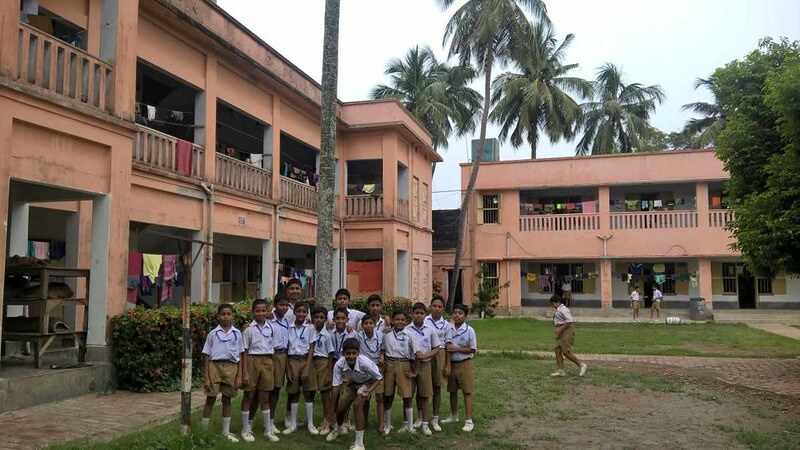 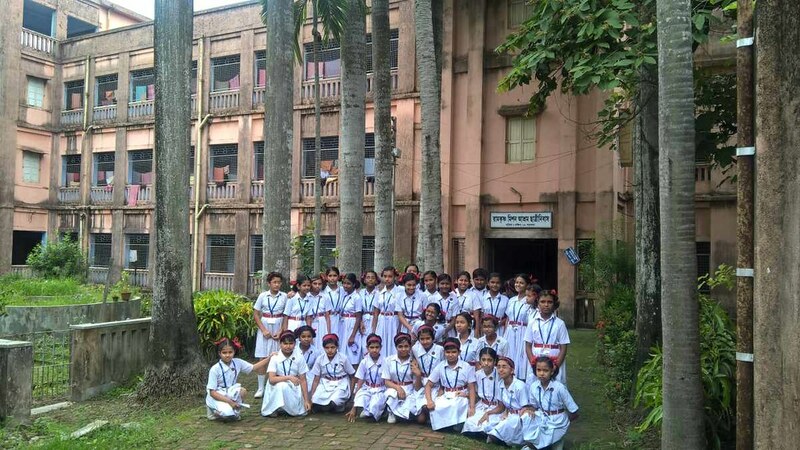 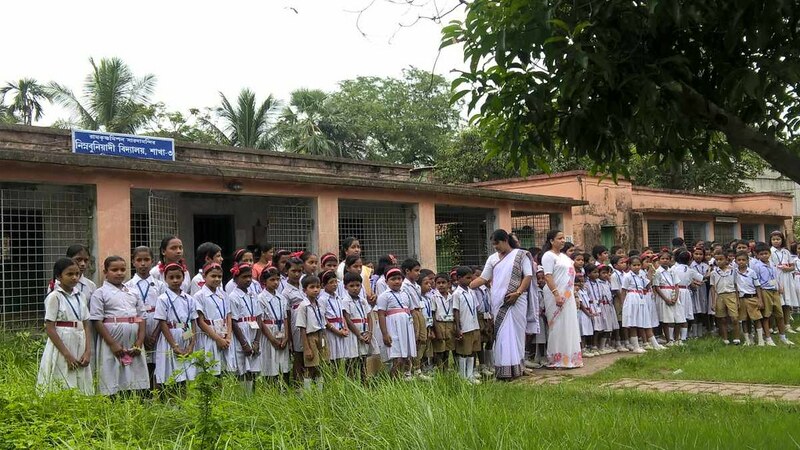 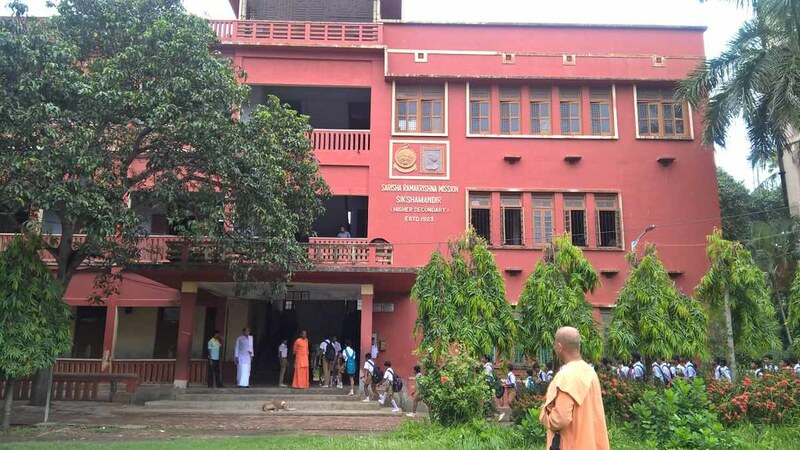 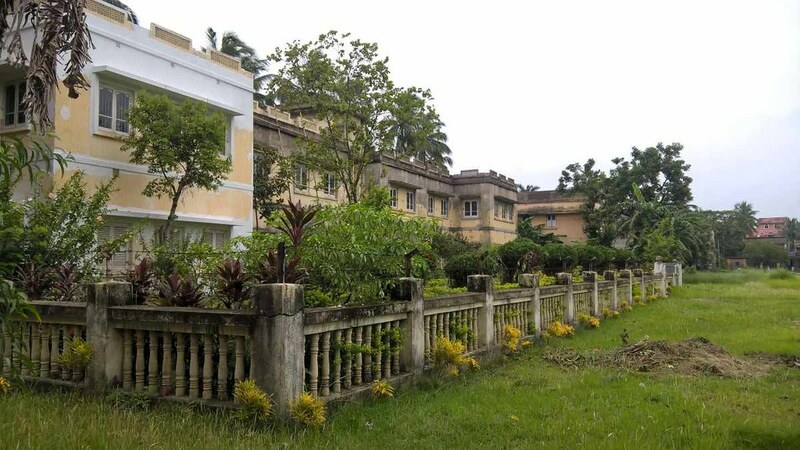 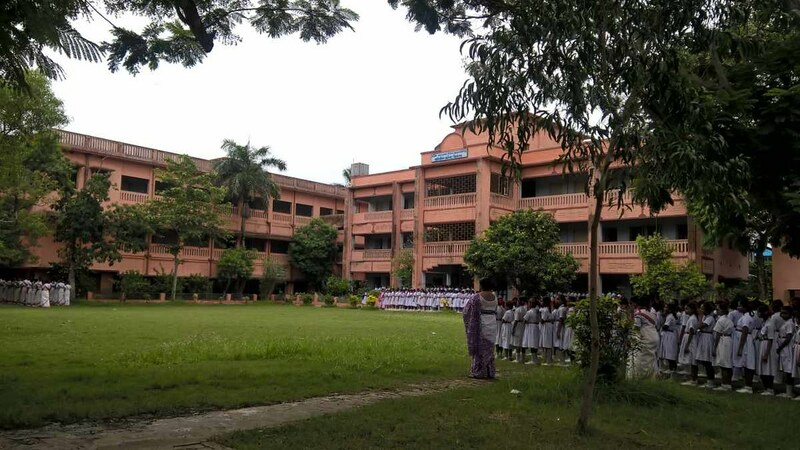 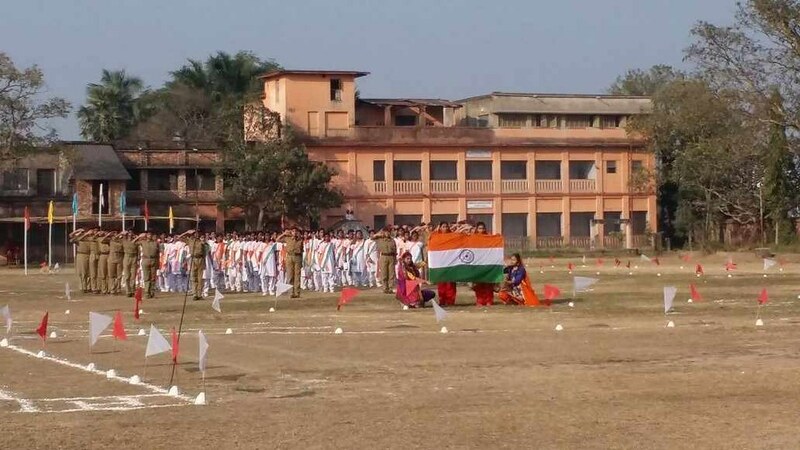 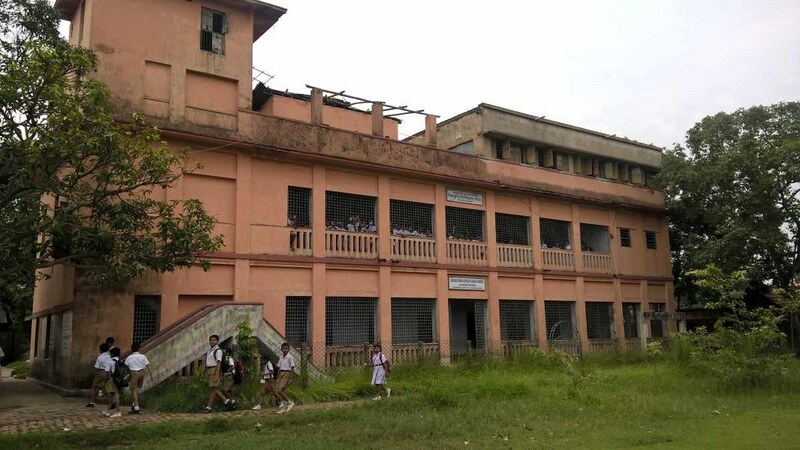 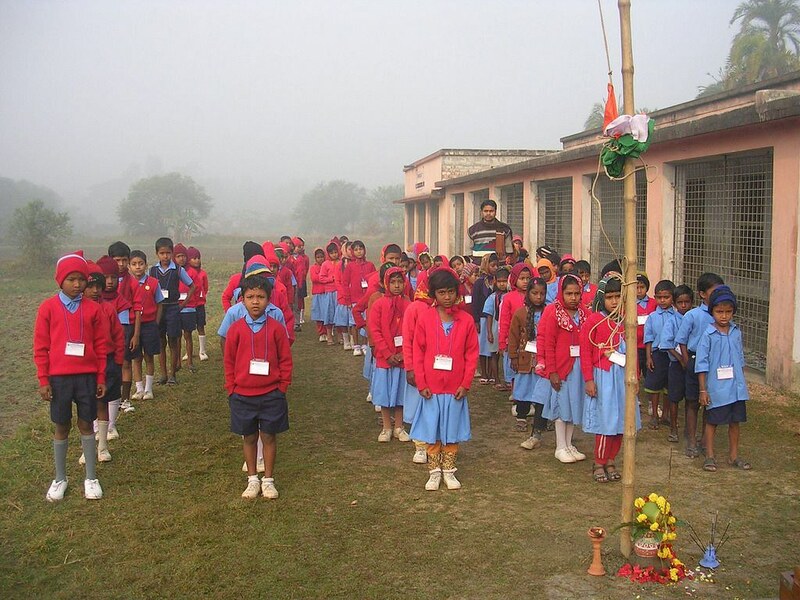 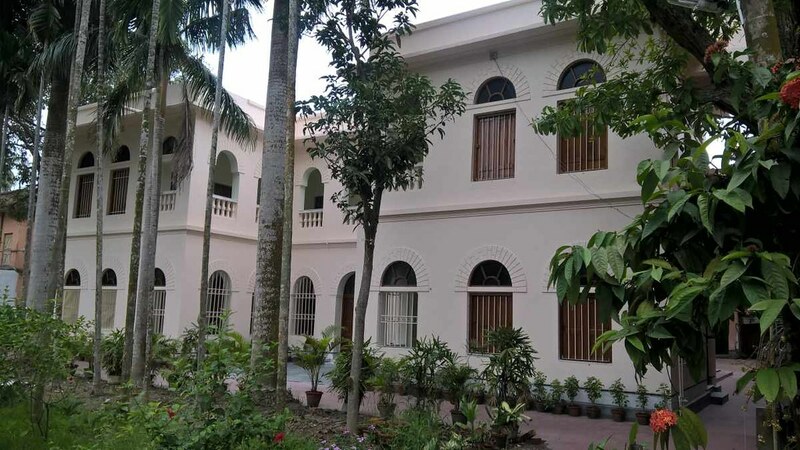 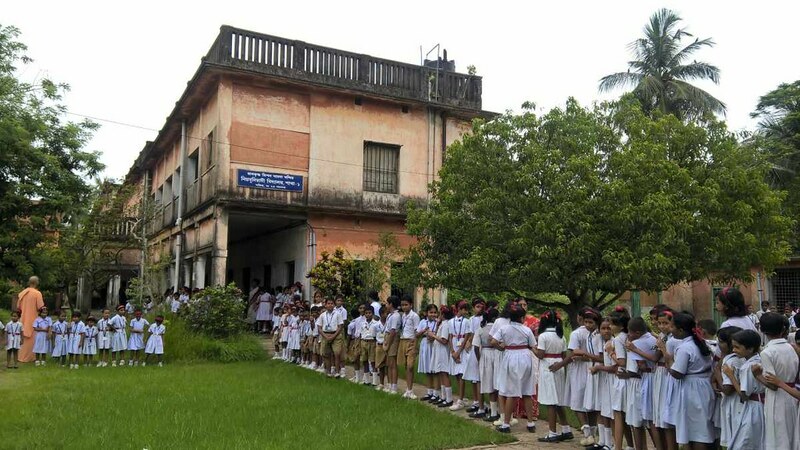 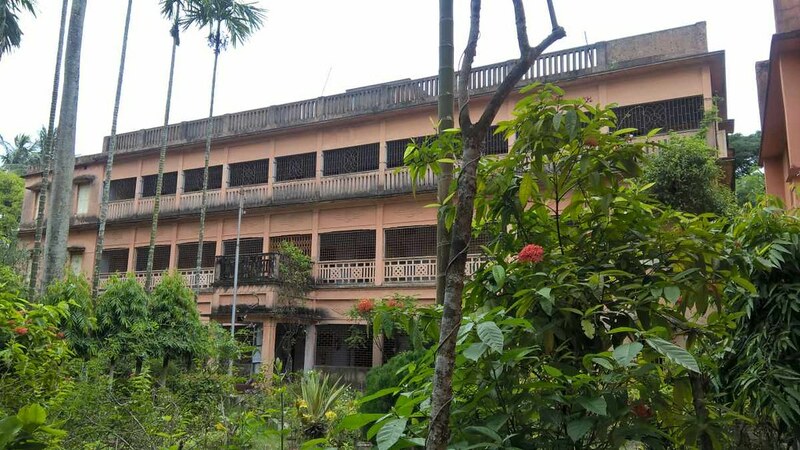 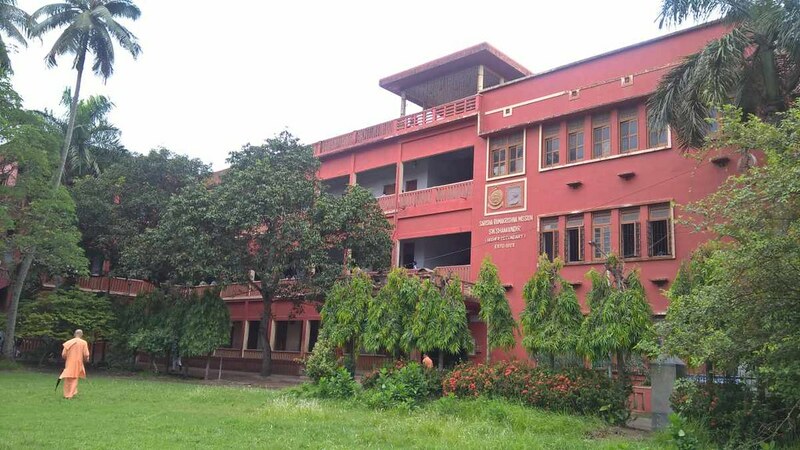 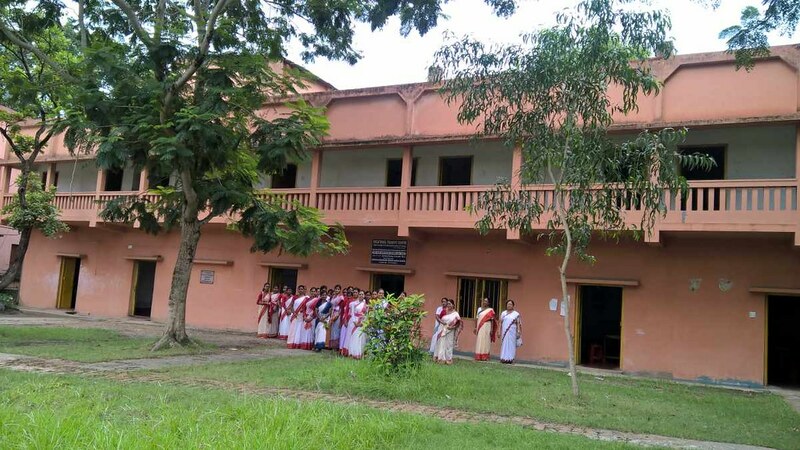 A girls’ madhyamik school with 896 students, and a hostel with 64 girls. 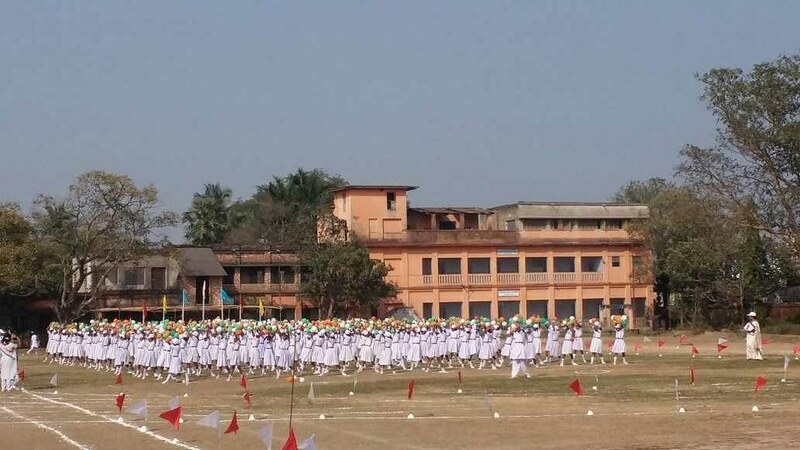 Four units of junior basic school with a total of 411 boys and 409 girls. 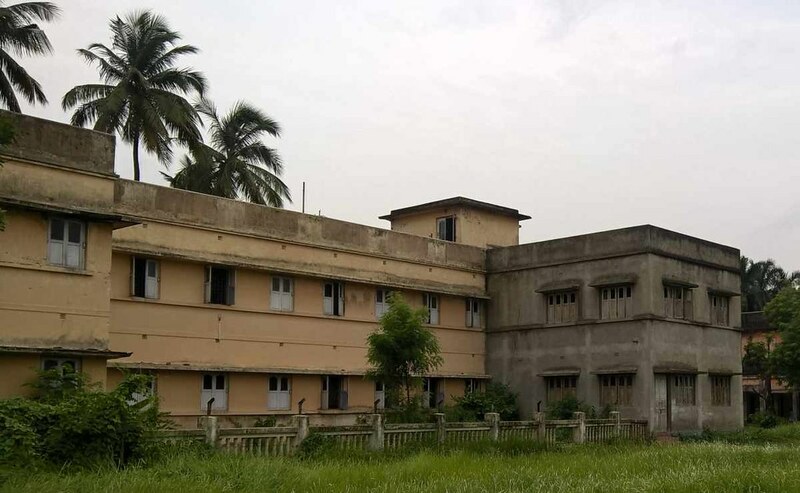 Two units of primary teachers’ training institute for women with 185 trainees and a hostel with 47 inmates. 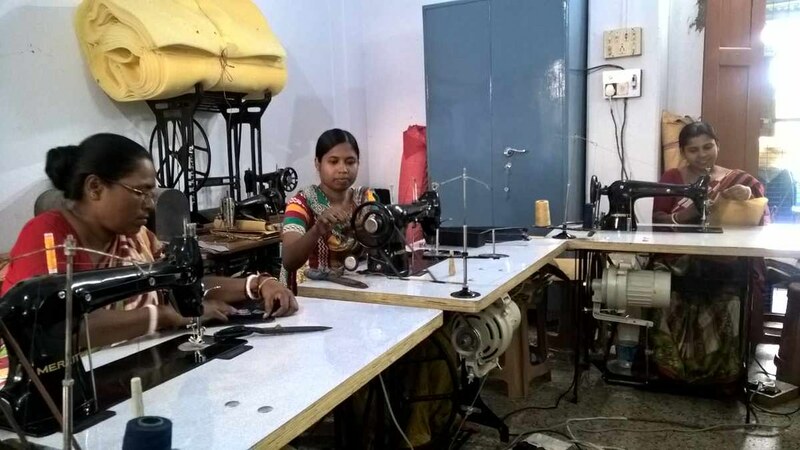 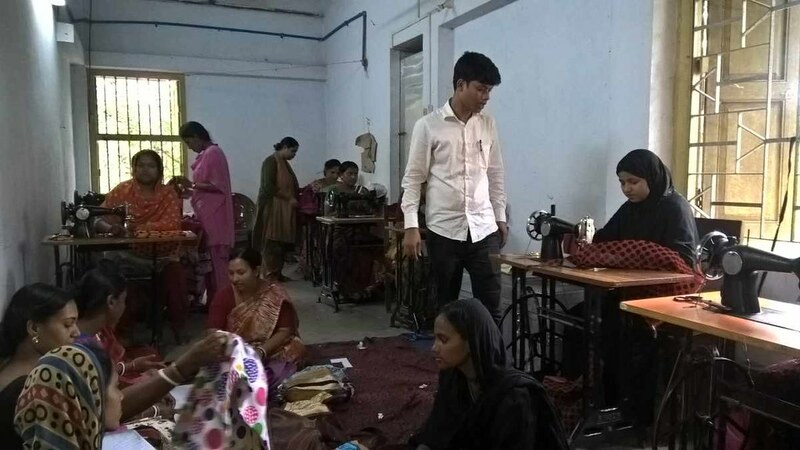 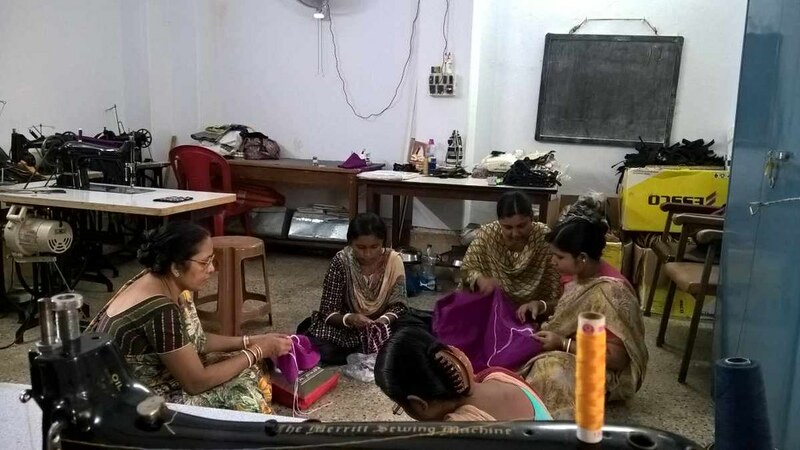 A technical section for women, which trained 20 girls in tailoring and needle work. 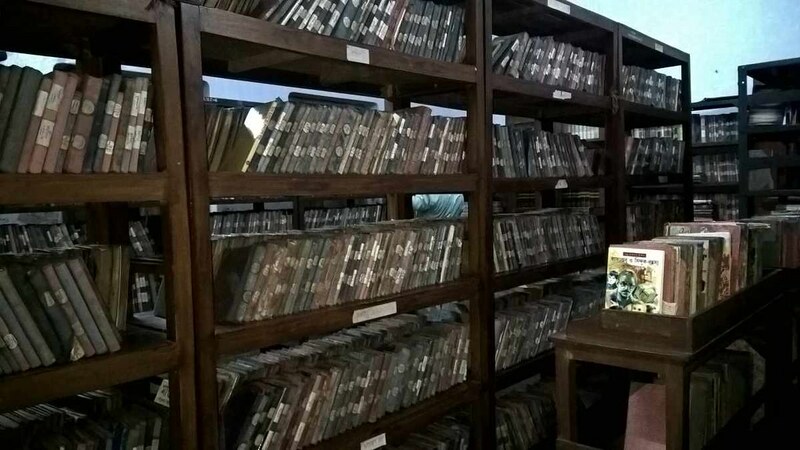 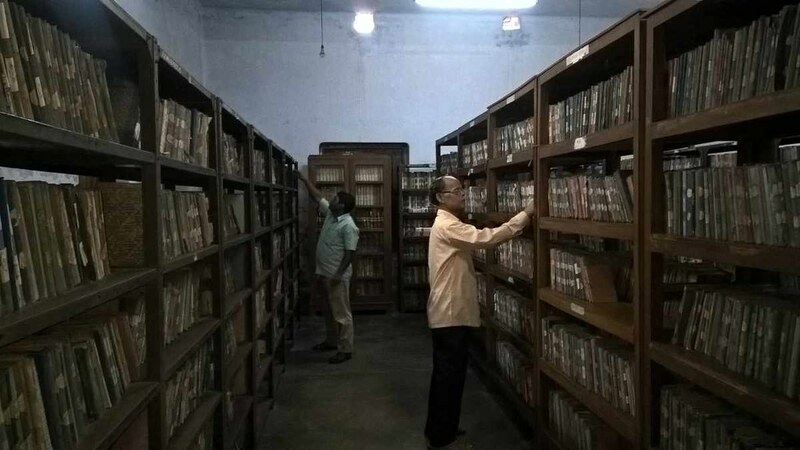 Libraries: A public library with two branches had 26,014 books and 8 periodicals and newspapers, and eight libraries attached to schools had 16,910 books and 14 newspapers and periodicals. 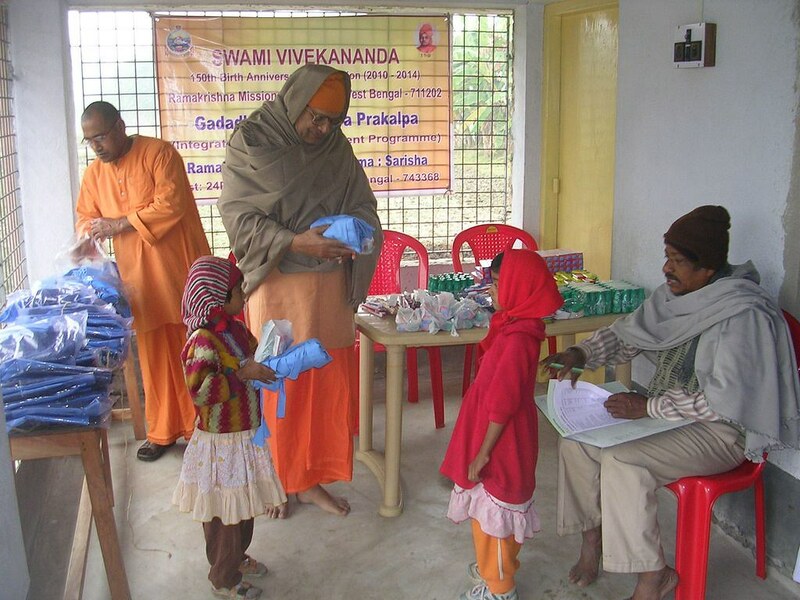 Medical service for rural people in collaboration with Seva Pratishthan, Kolkata, and a homeopathic dispensary, which treated 5253 cases. 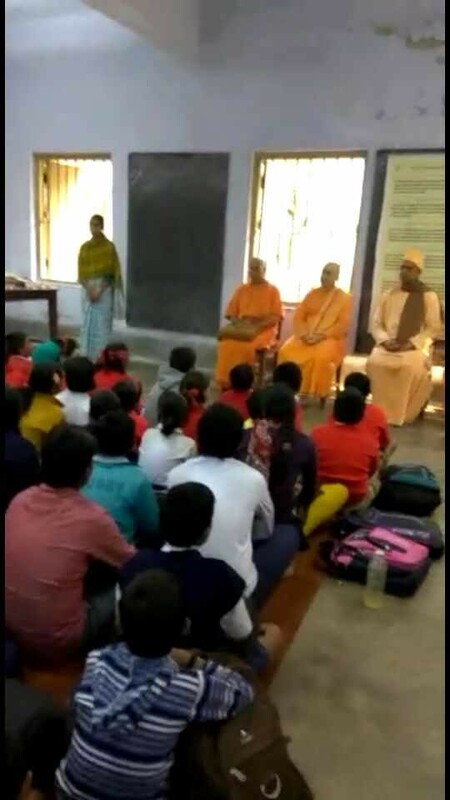 A unit of Gadadhara Abhyudaya Prakalpa with 100 poor children. 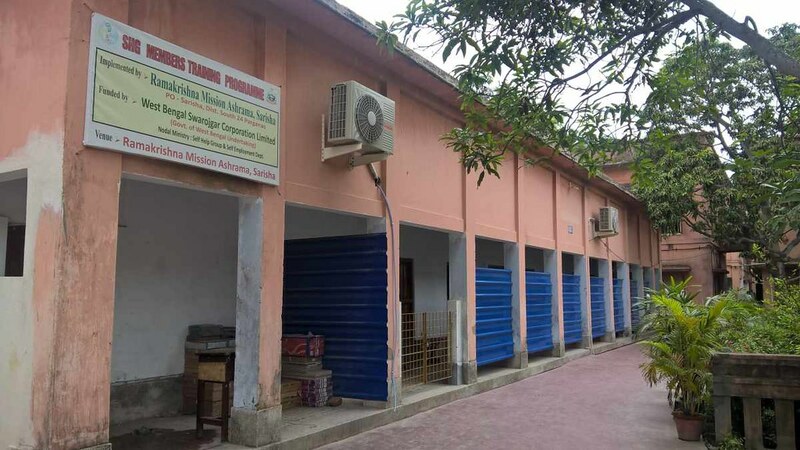 A community centre for women with 30 trainees. 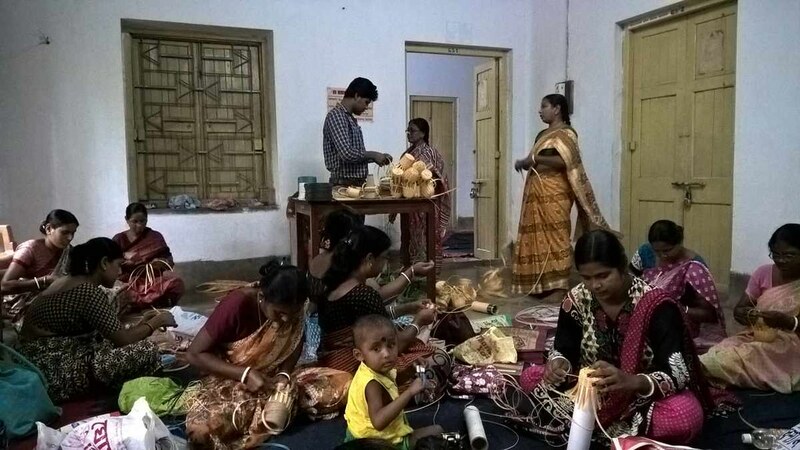 Vocational training in food processing, tailoring, fish culture etc to 325 women of self-help groups. 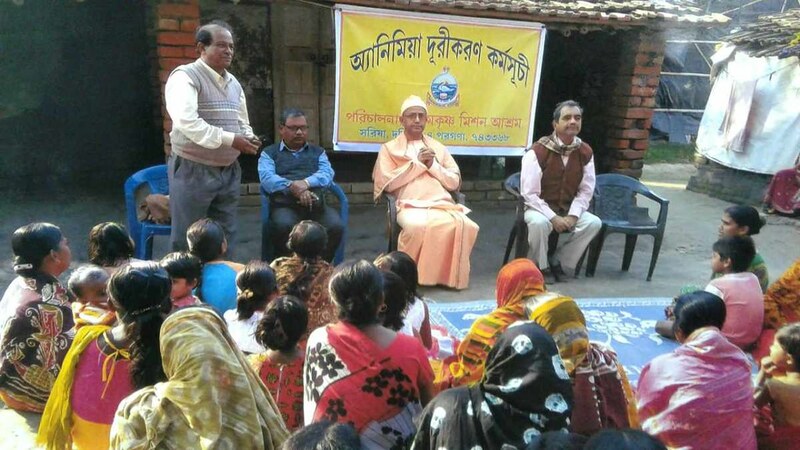 Welfare work by way of distribution of clothes, blankets, serving milk to poor children, providing educational aids and pecuniary help to the needy, etc. 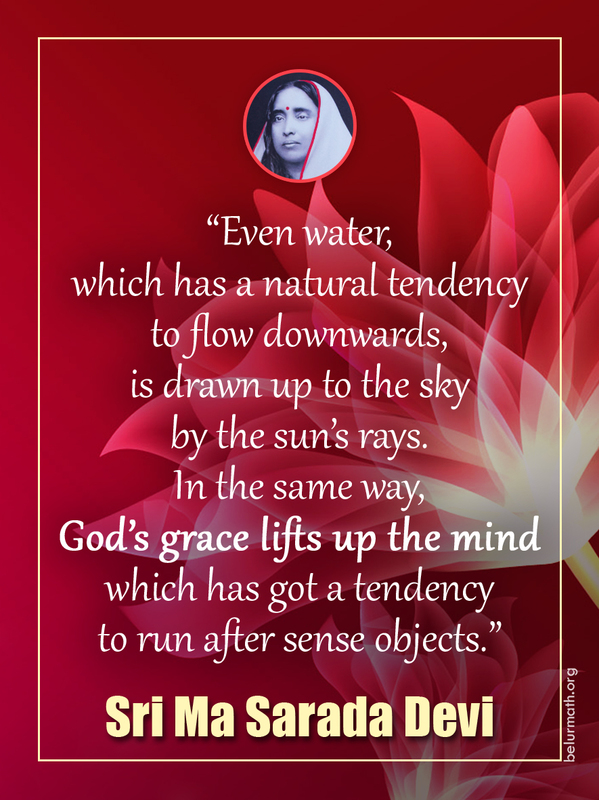 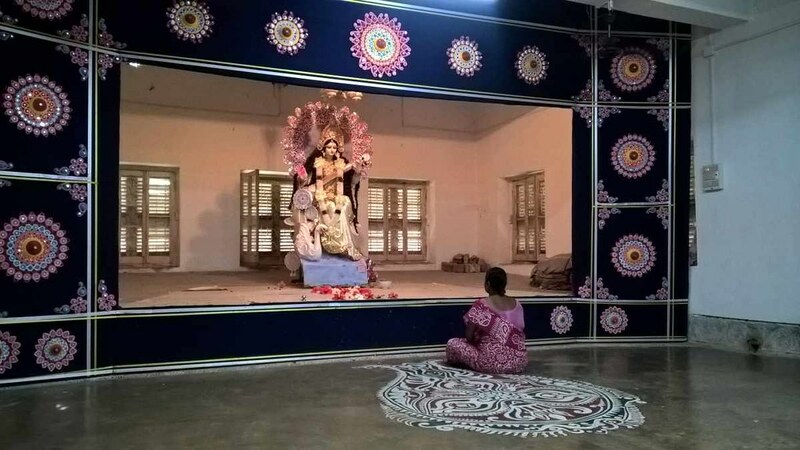 Religious activities: Daily worship, celebration of the birthdays of Sri Ramakrishna, Holy Mother Sri Sarada Devi, Swami Vivekananda and other religious personalities.